Building Kenya as one nation was not always an easy project, nor was it an impossible task. Jomo Kenyatta accomplished only one aspect of it: he presided over a period of establishing the post-colonial state as an institution that could allow market forces to develop given a legal framework that worked reasonably well as long as it satisfied the accumulation appetite of the elite. As such the Kenyan economy grew by leaps and bounds during the Kenyatta years, making Kenya compare favorably with her French West African counterpart, la Cote d'Ivoire. Like Houphouet Boigny of la Cote d'Ivoire, Kenyatta failed miserably in creating the Kenyan nation politically; he left behind a fractured, tribalized and politically non-functional nation- state when he died in 1978. We recognized this when Moi took over and argued that, as "a political outsider" with regard to the famous Kiambu Mafia, Moi would excel in championing the Kenyan project politically. He would hire people into the civil service on the basis of merit. Personnel in state apparatus would reflect the face of Kenya. Regions would develop equitably. But he did none of this. Instead he chose to legitimize himself with the ruling class Kenyatta left behind through his Nyayo philosophy of "peace, love and unity" which essentially meant “doing things the way Kenyatta did them", or following Kenyatta's footsteps. Opulence among his closely knit elite with whom he ruled Kenya increased. Those who had continued to have and the majority of Kenyans were terrorized into silence. A fear mongering state was used to make this silence be equated with popular acceptance of the status quo. For the 24 years that he ruled Kenya, Moi spent every day trying to succeed Kenyatta. He was obsessed with finding his own men who could replace Kenyatta's men so as to perform the same things better. For example, if it was a question of using state apparatus for personal accumulation the new generation under Moi tried to outdo their Kenyatta era predecessors with tremendous gusto. Given the new global conjuncture of post 1973 oil crisis, the same political approaches Kenyatta used could no longer be tenable in producing the same economic fortunes; the Kenyan economy therefore started having a nose dive under Moi, inviting displeasure from the very elite he inherited from Kenyatta. The support the progressive forces received from this elite in fighting against Moi's authoritarianism was unfortunately interpreted as the support by this elite for democratic change and reforms. It was not. In 2002 Mwai Kibaki received overwhelming support from all pro-democracy movements and organizations to assume the presidency of the Republic. But the first thing Kibaki did as soon as he came to power was to distance himself from all these democratic social forces, and to pursue a largely technocratic approach to advancing the Kenyan project of nation building, relying on a narrow ethnic elite as his predecessors had done. Devoid of any love or passion for popular movements, political parties or democratic discourse, a culture of managing state affairs through cabals, well controlled state discourses and political support by ethnic kingpins followed. The first casualty was the National Rainbow Coalition both as a nascent political coalition and a popular movement by the expectations of the people. The second casualty was consensus building among the parties that formed the NARC government through democratic discourse and consultation. The constitutional conference at the Bomas of Kenya in 2003 was therefore held in an atmosphere where suspicion reigned among the NARC coalition partners, and the content of the new constitution was suspected to be a conspiracy against Kibaki's rule. It was not surprising therefore that the Bomas constitution led to a divisive referendum which gave Kibaki the excuse to disband the NARC cabinet and to seek to restore the authoritarian presidency in the fashion of both Moi and Kenyatta. But history had advanced, and the referendum of 2005 itself brought into play a large array of popular power for democratic change that could no longer be bottled up either by force or fear mongering. It burst forth during the attempts to rig the December 2007 elections into the "Haki Yetu" mass action movement rejecting the doctored results of the elections and demanding that the government respects the rights of the people in changing government through free and fair democratic elections. The majority of Kenyans became aware of the shortcomings of the Kenyan political project following the Post Election Violence in 2007/2008. The two reports by Krieggler and Waki were quite clear on what needed to be done to rekindle the project of building Kenya as one nation. On the one hand was the issue of political and economic reforms, including constitutional reform; on the other was the issue of social justice and the rule of law, especially with regard to those affected by the violence and those most responsible for the violence. The General Elections that has just been held in Kenya shows that the electoral process that we adopted in the new constitution, and the regime it is meant to produce, do not provide long lasting solutions to the Kenyan political project. We are still the victims of the presidential authoritarian regime and the divisions it creates in the Kenyan society. We must change tact. What we need badly is a parliamentary system of government with proportional representation. 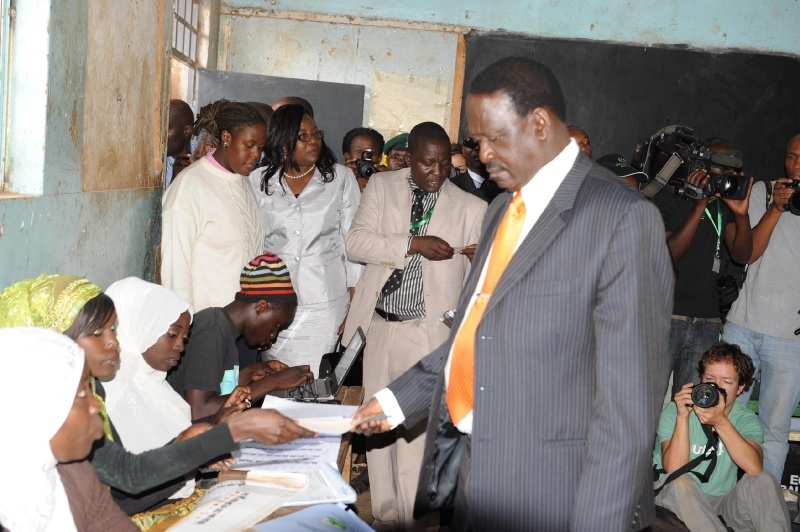 We must also make voting compulsory for Kenyans who are 18 years old and above. We must remove the idea that political parties nominate candidates who then go to compete in a general election. It does not work and it will never work. Individuals who want to stand in an election should simply stand after they have been duly qualified by the electoral commission. When the election is over, all the votes that candidates belonging to a party get are then added together to indicate how much that party has gathered in that constituency. The party with the most votes wins and the candidate with the most votes within that party becomes the member of that constituency. At the national level, the votes that parties get will determine which party or coalition of parties form the government led by a Prime Minister and not a President. We will, of course, need to work out this in more details but I think we have a better chance getting the Kenyan project of nation building if we travel along this road than if we insist going the way we are at the moment. In the past two weeks, the political scene was dominated by two principal actors who played complementary roles in the nomination of candidates for political office. These are the various political parties that processed the nomination of their members, and the Independent Electoral and Boundaries Commission (IEBC). Both players fell way short of people’s expectations. They conspired and turned the nominations into a shameful charade. Whereas we all know these political parties are neither democratic nor well funded and, in some instances, privately owned – and Kenyans are too willing to excuse their failures – the calamitous performance by the IEBC was more profound. Kenyans have rarely been critical of the IEBC even when the commission would have benefited from some biting criticism. A number of factors inform this undeserved deference. First, because of the reconstruction of the commission and the process of its reconstitution, the commission is seen as an improvement on its predecessor. Second, Kenyans simply don’t want to think for a moment what would happen if the commission bungled the election as it happened in 2007. This is one commission that forced many Kenyans into silence using fear as immunity from public scrutiny. Third, the commission has successfully conducted the constitutional referendum and a number of by-elections. These positives have negative counterweights. First, the voter registration was the same as five years ago, showing a poor penetration. Second, voter education has never been more dismal. Third – and this is where all the problems emanate from – the commission is not very transparent when it comes to money matters. It has failed one test after another where procurement and financial probity are concerned. The issues of financial management have a profound bearing on electoral integrity. If the IEBC can’t pass the test of financial integrity, Kenyans shouldn’t expect it to pass electoral probity and integrity. The latest query it faces is the procurement of ballot papers which were described by a High Court judge as “indiscriminate and clandestine”. We all hear how this tender was single-sourced by one official and how many millions of dollars he was given. I don’t want to remind Kenyans how the biometric kit tender worth Sh3 billion ended up costing the taxpayer Sh8 billion, and how the difference was shared out. And we are silent on all these because of our fears. Coming back to the conduct of the IEBC on the nomination process, I saw danger signs of a systemic lack of integrity, disregard for the law, lack of political independence, pandering to politicians and outright corruption. This I observed first-hand as a lawyer who participated in the process. This is worrying in that, having seen how some of the commissioners cut corners with the law and integrity, what guarantees do we have that the same commissioners will not do the same on March 4? The IEBC deliberately turned a blind eye to the law. It refused to adhere to the law. For instance, candidates who did multiple defections were given nomination certificates contrary to the law. Candidates with multiple party certificates were cleared. Influential politicians were consulted in hotel rooms by members of the commission on how to rule on sensitive cases. Most alarming, and this out of my civic duty, I have shared my utter disbelief with the chairman of the commission on the conduct of a commissioner. This commissioner, using male relatives, was calling parties with cases before the commissioners and soliciting bribes. His modus operandi was to inform the victim that he already had an offer from the complainant and that he would rule in favour of the accused if the counter offer was better. Can we entrust such a commissioner with our fate on March 4? I have my fears. "On my honor I promise that..." that is how the motto of the Scouts begin. It was developed many years ago by Lord Baden Powell, the founder of the movement who died and was buried in Kenya. I promise that I will obey the Scouts Law, it concludes; because I have so promised on my honor. Societies, communities, families and clubs live and work under certain rules and laws: some are written, others are simply believed or accepted as normal. Anybody who goes against these laws, rules and customs is quite often regarded as a deviant or is even cursed. In modern societies, clubs and organizations, there are established systems of punishment for dealing with deviants or rule breakers and systems of rewards for thanking those who apprehend them. When people live under governments, particularly those established through some form of social contract as constitutions, then living by the rules and laws become a cardinal principle for almost everyone based on "his or her honor". We all implicitly accept to be honorable men and women when we accept to live in societies established under such social contracts. But among human beings there are many funny people who always want to have their cake and eat it at the same time. The element of deviancy so as to gain something against others while still deriving immense gains from living in society is always there. This is why governments establish security forces, courts, jails etc for dealing with law breakers or deviants. How about when the government itself becomes deviant or breaks its own laws? It is like Lord Baden Powell breaking the Scouts Law and still saying "on my honor". I can only illustrate the gravity and consequences of this with a story. One Sunday morning in January 1971, we woke up as students at Makerere University to find both the radio and TV playing nothing but marshall music. That went on the whole day until some time late afternoon when a rough looking young man appeared on TV to announce that the military had taken over the government in Uganda. We were shocked. The government had become a law breaker overnight. "Gentlemen; please don't do that. This is now a military government. The rules have changed." As we were speaking thousands of people were already dancing in the streets of Kampala celebrating the downfall of Obote. Little did they realize that with the "rules having been changed" by the military without the people's consent, very soon the dances would turn into funerals and mournings as Amin started to rule Uganda without obeying the rules the people knew. His own whimsical directives are now what mattered. What is the moral of this story? Rules once established for society to live by are extremely important guidelines for our lives and we should defend and promote them "on our honor". In 1973 while I was a graduate student at the University of Chicago, the same Vice Chancellor, while on tour of the US organized by the State Department, visited us. I went to see him at the Roosevelt Hotel where he was staying and we spent close to 3 hours talking about what was happening in Uganda. It was not a happy tale to tell. In the end I advised him not to go back because, having been a guest of the US government for so long, notwithstanding the fact that it was purely on education matters, somebody in the Amin government could easily concoct a story that he was plotting with the Americans against Amin. The Vice Chancellor insisted on going back; he did not think Amin could go that far. Unfortunately, three weeks after he went back he disappeared and he has not been seen to this very day. Amin definitely knew that the Vice Chancellor was an important and visible man in his government. But because of that he was also a key person among those Amin suspected could plot to take power from him. Having ascended to power by force and through dubious means Amin suspected his departure could be through the very dubious and crafty means. You will remember Shakespeare's play Henry the Second. That scene where King Henry blames Lord Northumberland for allowing himself to be used by Henry Bollingbroke to overthrow him through a court coup: do you recall how King Henry lamented? Let me quote the King's lamentations which are very relevant for our times. Gathering head shall break into corruption. It is too little helping him to all". The chain of breaking laws to achieve short term gains never really pays in the long run, neither for individuals who do so not for societies they so deeply hurt. In the immediate this is a lesson that is never learnt, just like the Ugandans who poured into the streets of Kampala when Amin took over. The good news is that there are always some people ready to see far enough to confront such situations and eventually to ensure that society rises up from its ashes. These are the men and women of honor. What Kenya and its allies can learn from Austria’s Nazi legacy. Kenyatta helped organize death squads. agreed that the situation is unprecedented. the world, believed he came with a reasonably clean bill of history. But for years, rumors circulated that Waldheim was lying. 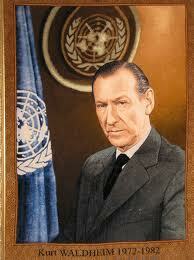 In the U.N.
Waldheim considered running for a third term as secretary general in 1980.
indicated, involved in the deportations of Greek Jews. hundreds. As late as the 1980s, Austria was lousy with Hitler nostalgists. newspaper, approached him in a Vienna café. He smiled and greeted them. "We Austrians Will Vote For Whom We Want!" pointed out, he wouldn't have much to work with. of hearing about the past -- just as most Kenyans are tired of it today. list of people barred from entering the United States. only met with Waldheim but, bizarrely, conferred on him a papal knighthood. on the redemptive powers of confronting one's past. diplomatic isolation makes a nation's internal neuroses worse, not better. won't abide the shame of others. That Kenya received $875 million in U.S.
much talk about the new Kenyan friendships with China and Russia. represented, they felt, Kenyans' only chance to confront their past. if only Kenyans would agree to weep. same can be said of Kenyans today. his own. His family is the premier brand in Kenya. resounding message was this: *Yes, we killed. We killed for you, for Kenya. And we'd kill again*. It's the most seductive platform in politics. Indeed we are in a spin. Nobody really knows what the outcome will be when CJ Mutunga and his fellow wise members of the bench will read out that all earth breaking verdict. Assuming that the Supreme Court holds the verdict of the IEBC that indeed Uhuru Kenyatta won the presidency, Raila Odinga will most likely accept the verdict and move on with his life in the knowledge that he explored all legal avenues in the land to seek justice. He will leave the political scene with a clear conscience that he never did anything untoward that might have plunged the country into another round of turmoil. What no one can predict would be how the millions of Kenyans who lined up and voted for him all over the country that sunny Monday would take the final verdict. It will be a very uneasy peace that will haunt Kenyans for many years to come. As I see it, the future of one Kenya right now belongs in the hands of CJ Mutunga and his bench. The ruling must be convincing and persuasive to both Jubilee and Cord followers such that there is no doubt in any body’s mind when it is delivered. It must not just be fair but must be seen to be fair for both parties. This heavy burden does not belong to the Supreme Court alone. Both lawyers of the petition and defense must convince ordinary Kenyans who will be following the proceedings that they have legal facts to convince the nation that this case was not about political bad blood between Raila Odinga and Uhuru Kenyatta but rather a test for democracy, rule of law and the independence of the judiciary in dispensing justice fairly based on facts presented before them. However , even before the petition is heard and determined; before the President –elect and his deputy are sworn in, strange things have started happening that may scare Kenyans who have been used to freedom of association and expression in the last 10 years under Mwai Kibaki. Suddenly Kenyans are being warned left and right by all sorts of civil servants and security personnel about this and that crime. Peace has become the blanket to cover all sorts of indiscretions of our rulers. The newly appointed Inspector General of Police seems keen on reintroducing draconian brute force that the police were known for during Moi’s era. Already his boys have injured two innocent Kenyans whose only crime was to take part in a peaceful demonstration in support of the petition. And to cup it all, the same day he banned all “illegal public gatherings” that also included open air religious prayer meetings. One wonders how such backward thinking can bring peace and unity in a country that is already so polarized. Is this how the police should deal with ordinary people of this country? Where is the Police Oversight Commission to interrogate these blatant violations of our civil liberties that are entrenched in our constitution? 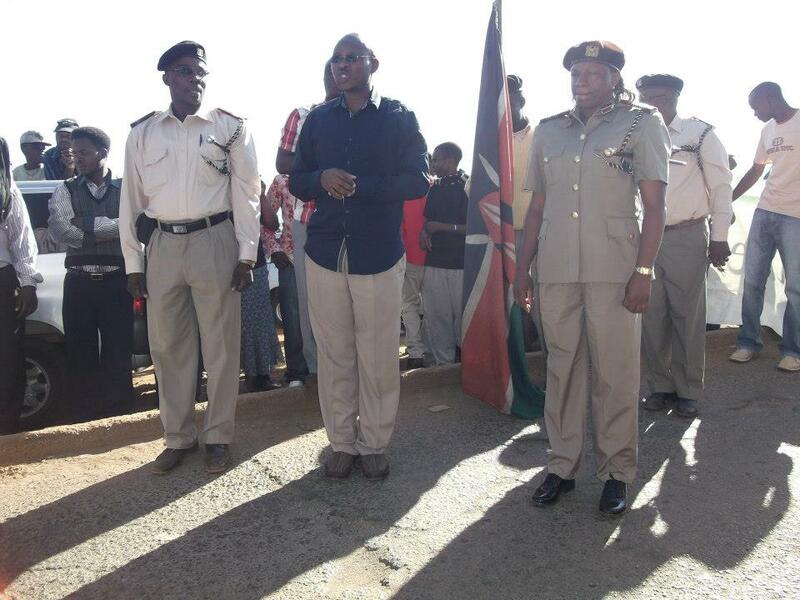 If David Kimaiyo our new Police Chief does not know, the freedom Kenyans enjoy today did not come on a silver platter. It was not a Christmas gift either. There are people who suffered for it and paid the ultimate prize. For this reason, Kenyans may never give up their freedoms easily. They may have to go back to the trenches if need be. 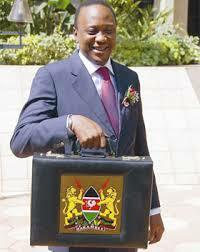 It is indeed true Uhuru Kenyatta is now President-elect, court petition challenging his election notwithstanding. Nobody should begrudge him of that because he didn’t sign his own victory certificate. Somebody else did that and handed it over to him in a public forum. Having said that, it was curious to see how the national security apparatus handled Uhuru right from the time he was declared the winner. Suddenly he had a presidential limo complete with a flag and unmarked security detail that most probably rivaled that of the sitting Head of State. Which begs my next question; do we have two heads of state at the moment? A week later, he took a most deserved holiday to the South Coast and how did he travel to there? He took two Air Force jets one for him and the other for his wife to get there! As I watched these jets landing in South Coast, I counted the number of passengers from each one of them. I didn’t see much. All I saw was Uhuru and his “Aide de Camp” and a few hangers on who had lost elections coming from the first jet. When his wife Margaret landed, it was the same story. I tried to scratch my head to recall when any sitting Head of State including Kenya’s President Kibaki has ever done such a thing. And I asked myself the one fundamental question; if the President –elect can begin to indulge in such reckless spending of public resources even before he is sworn in, how will it be once he is installed in office? How will he control public spending in his government? What was so difficult in using one Air Force Jet for both of them? Or better still, why not Kenya Airways and pick a small plane to land him and his wife in Diani beach? If I were Uhuru Kenyatta, I would hold my horses until this petition against me is over with because once you have tasted power it will be very difficult to relinquish it. It can lead you to make many irrational decisions. It is an incident that has refused to fade away from my memory. I was a small boy then, and this was the second death that I had seen very close to my family. The previous year, in 1957, Ishmael Gumba son of Ogondi Nyong'o, had died. The following year, in 1958, the old man Ogondi Nyong'o, our grandpa himself, followed his son when he also passed on. I was shocked and bewildered why death could visit one family in such quick succession. But that is not the point I want to make today. Ibrahim Noi was a respected retired Senior Chief in Seme location then. He was the only person who was allowed to eulogize Ogondi. During those days, burial ceremonies were simple, unpretentious and culturally to the point. Noi stood up, looked at Ogondi's body wrapped in a white sheet and lying next to the grave, and said the following in simple and straightforward Dho-Luo. "I knew this man. He was a brave man. All this land that you people now occupy here is because of him. He fought for it and got it for you. He was a judge, a warrior and a defender of his people. But after doing all that and getting you so much land, look at what you are giving him as his possession for eternity: a small piece of the earth measuring six feet, by three feet by another six feet! That is all." So what is all this hustle and bustle about in this Kenya of ours today? Why must we fight so hard to get so much only to leave it behind after a couple of years in exchange for an Ogondi piece of earth? Think about it: why so much vitriol, anger, abuses and spite that we unleash unto each other in fights for political power that will, when all is said and done, simply resolve themselves into an Ogondi piece of the earth in the not too distant future. Think about it. Shakespeare was probably right: all the world is indeed a stage; and all the men and women merely players. So while on the stage of life it may be better to play our part well, enjoy it when we can and ensure that others enjoy theirs too so that we render no man nor woman evil for evil. But I am beginning to see the evil side of Kenyan society: the prejudices, raw hatred, the negative profiling of individuals, the inability to reflect and ponder on "how the other half lives" like in that famous movie, "Nairobi Half Life." We seem to be transfixed on what we get today for the self and not for society as a whole. But how long will the self be around? And how much does the self need to be around without regard to the needs of the needy? Unfortunately, few men and women are moved to perform great acts of charity for the love of humanity. In fact, in the final analysis, it is not the individual acts of charity that makes a substantial impact on society in terms of the plight of the needy; not at all. It is the totality of actions that shape the plight of society as a whole that finally changes the predicament of the needy for the better. That is why religions seek to influence whole societies and change them through belief, customs, cultures, rituals and so on. It is a real pity,therefore, that in an attempt to change our Kenyan society for the better through democratic elections we should end up losing this noble initiative to individuals whose main interest is to redeem the self. All the democratic procedures, rules, etiquette and practices that make elections really democratic, and that bring the whole society to embrace the process as a vital tool for social change don't really matter to these selfish individuals. The end, to them, justifies the means. Never mind that old women stood on the line the whole day waiting to vote. That vote may not count for much. In a room somewhere, some individuals are busy manufacturing the results of an election whose ballots are not yet counted. It is this process of manufacturing votes that counts and not the one involving the people queuing for a whole day to change their society through the vote. Why this callousness? The answer is simple. The power of the vote, cast in free and fair elections under the new constitution, could easily lead to substantial social change in our society which the privileged elite, dominating society under the political and ideological clout of ethnic apartheid, will resist with all their might. The resistance is currently on. At times it is sophisticated, cunning and even charming, especially when done under the aura of state power and its rituals and ceremonies. The middle class falls easily for it, paying homage to the powerful and desperately looking for recognition and belonging to this club of the privileged few. This sense of belonging may not even be directly to the individual but to what the individual perceives as his group, his people, his "Nyumba". Franz Fanon called this "false consciousness"; but I wonder whether it is false and not just "deceptive consciousness." it is so deceptive that it makes the poor do horrendous things against fellow poor "from the other side" simply in defense of the elite privileges! We must, out of the travails of this election, stand firm against the machinations of the defenders of the status quo and the manipulation of the needy to protect elite power. We may, in the process, lose quite a lot. But what does it really matter? In the final analysis, when all is said and done, all that each one of us will get, notwithstanding our different standings in life, is an Ogondi piece of the earth when we all die. President-Elect of the Republic of Kenya. I want to officially congratulate you and the Jubilee Team for convincingly winning the just concluded General Elections. There were anomalies yes, but you won and won big and even if a Re-run is ordered by the Supreme Court, I know you will still win, and now even with a bigger margin. When Kenyans were invited to register as voters, you and your Team Members went to work, and you registered what the maverick Mutahi Nginyi later called 'The Tyrany of Numbers'. Your supporters came out in large numbers and we could see evidence of that. Then, you mounted a very well organized campaign across Kenya. You beat your opponents by back-pedelling them to the wall all the times. You were on top of the propaganda war- fare and you won big on that. I liked how you and your Team Members would lit a fire at some point then run very first shouting fire fire as you fetched water to put it out. That was brilliant and that is what politics is all about. You talked about the Rt Hon Raila Odinga almost 80% times in your campaigns, preferring not to call him by name. You called him huyo mjamaa wa vitendawili and that resonated out so well with your supporters. But then, you kept pointing out to the people that it was the Cord Team that was talking about people and not you. Honestly, I never heard what you said you wanted to do for Kenya. Again, that was brilliant. On the D-day, your supporters came out in their droves to vote for you. The Cord supporters were as lethargic as they have always been. This must be a lesson to all Kenyans. When the IEBC invites us to come out and register as voters, we must do so if we want our voices to be heard, or, if we want to form the Government. Governments are not formed without numbers, for that is the essence of democracy all over the world. Losers never form Governments. Your opponents did not invest in mass mobilization either for registration, nor for voting. I cannot hence help but weep with them at this time as they mourn. But then, we are Kenyans and we have moved on and many are now accepting that indeed, you will be our President. Your Excellency, as our next CEO, you have some huge responsibility on your shoulders. First, you and your Principal Assistant- the Enigmatic William Ruto must attend the ICC cases in person. Please prove to the world that you are all innocent and let the world be ashamed. But in the event that you are convicted, kindly step aside as fast as you can. We will stand strong with you now that you are our President. Again, move with speed to construct the Mau Summit- Kericho nightmare of a road that we have had for this long. Move with speed to remove the hyacinth that has clogged Lake Victoria for all this long. You may be the Joshua that is taking us to Canaan. Develop for the people around the Lake Victoria Fish Processing Plants for their fish produce. Move with speed to incorporate the people who did not vote for you in your Government, and make Kisumu- especially Kondele be your first public engagement as the President of Kenya after you are sworn in. Host your first political thank you rally in Kisumu, then move to other regions as well. Your predecessors talked of preaching Peace across all Kenya immediately they signed the National Accord on the 28th February 2008, but we did not see them do that even once in the 5 Years we have lived with them. Kindly make Peace and National Reconciliation a priority number one. I loved it when you invited Kenyans to go back to their work during your acceptance speech on Saturday the 9th March 2013. You did not order for 2 days of National Celebrations. That was good. 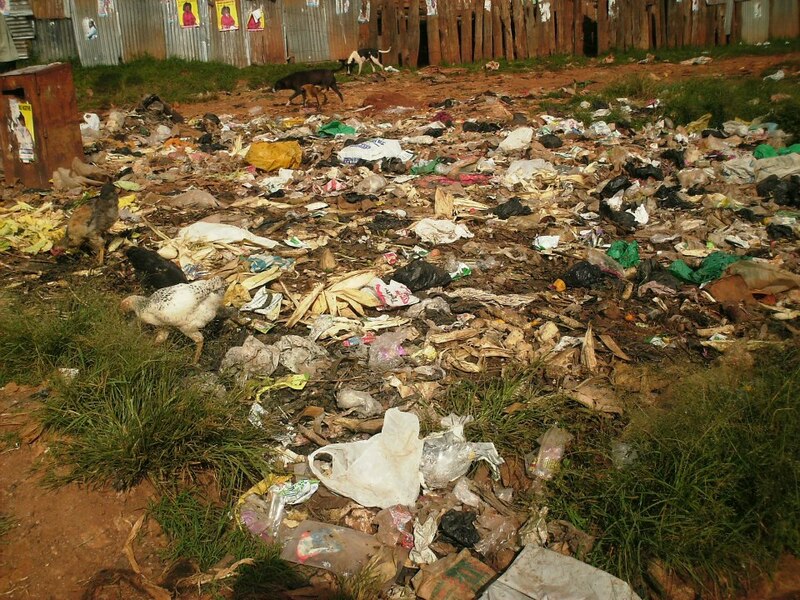 Your Excellency, our Towns have been dirty, in fact, very dirty. 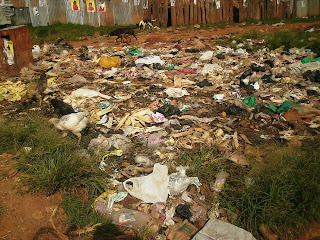 Garbage and Waste has been competing with all available space as the out going teams watch. Prove to the whole world that Garbage and Waste is huge business. Initiate the process of Separation of Waste at Source as a mandatory household undertaking and make the 3rd Saturday of every Month a National Clean-up Day. Strengthen our democratic space and make it possible for any Kenyan to be President- not based on The Tyranny of Tribal Arithmetic, but on clear Policy and Manifesto. Invite all Kenyans to love each other and more so, invite your core supporters to be ready to vote for non of their own. Move with speed to solve the land question and issue all persons who have come of age with Identity Cards. The out going teams failed on this. We still have along way to go with you. This is just the beginning of the several letters you will be getting from us. You are now our President and we will be complimenting each good move you make. But we will equally be very hard on you when you make a wrong move. May the good Lord give you the Grace and Humility to serve Kenyans with love, dedication and results. Supporters of Kenyan presidential candidate Uhuru Kenyatta touch his picture on an election poster as they celebrate upon learning of his victory in Kenya's national elections on March 9, 2013 in Kiambu, north of Nairobi. Uhuru Kenyatta, wanted by the International Criminal Court (ICC) for crimes against humanity, won election Saturday as Kenya‘s new President. The Independent Electoral and Boundaries Commission announced that Kenya’s richest man, the current Deputy Prime Minister and former Finance Minister, and the son of Kenya’s first President Jomo Kenyatta, won 50.07% of the vote — just marginally more than was needed to avoid a second round run-off. Kenyatta’s running mate Will Ruto, a second of the four Kenyans indicted by the ICC, is slated to become Deputy President. Turnout was a high 86%. With the margin of victory so thin, and the count plagued by days of delays and hundreds of thousands of spoiled ballots, Kenyatta’s main rival, Prime Minister Raila Odinga, has already said he will fight it in court. But the ICC’s focus on Africa — nearly all of its investigations concern Africans — has earned it accusations of bias. And the manner in which the 2007-8 tribal violence was beamed around the world by the Western media, deterring tourists and overshadowing the story of an increasingly less impoverished, and more healthy, sophisticated and self-reliant Kenya, also drew widespread resentment. At this election, with a new 2010 constitution, and a new electoral body with a new — though not glitch-free — electronic voting system, Kenyans’ determination to hold a peaceful election has been palpable. The popular mood has also been notably anti-Western. Foreign diplomats have been warned of blood-curdling revenge should they interfere in the poll. Foreign journalists have been publicly ridiculed and denounced as prejudiced if they predicted chaos and disaster. And a central message of most candidates’ campaigns was strident, patriotic self-determination. Kenyatta and Ruto — who deny the charges brought by the ICC — managed to convert a Kenyan public that initially largely supported the ICC’s attempts to call them to account into one that viewed the ICC as a representative of unwarranted Western interference in African affairs. In the last days of the campaign, Kenyatta’s Jubilee Alliance reflected and heightened the anti-West mood, saying it was “deeply concerned about the shadowy, suspicious and rather animated involvement of the British High Commissioner in Kenya’s election.” Such assertions of sovereignty are only likely to intensify under a Kenyatta presidency. Ruto’s trial is due to begin on May 28, Kenyatta’s on July 9. Both men have said they will attend — a point Kenyatta repeated Saturday when he said his government would “continue to cooperate with international institutions.” Kenyatta has, however, said that his official duties would prevent their pair from being at The Hague continually — a pointed diluting of the court’s importance, and one that will likely drag out trials already expected to last several years. From the West’s perspective, a Kenyatta victory presents a conundrum. Assistant Secretary for African Affairs, Johnnie Carson, warned before the election that “choices have consequences,” widely seen as a recommendation that voters should back Odinga. London has already warned that it would keep official contact with a President Kenyatta to a minimum, as it does with Zimbabwean President Robert Mugabe. But the reality is that, in a world where Kenya finds itself as much sought after as suitor, Western powers no longer get to call the shots in Africa. In many ways, and particularly in its home-grown innovations in mobile technology such as mobile banking and solar power, Kenya personifies the new, emerging Africa of young and dynamic entrepreneurs. Its position as East Africa’s business hub has only been enhanced by its recent discovery of large reserves of oil and gas. Kenya is also a lynchpin of the U.S. and European security structure in Africa, ranged as it is against Islamist groups and pirates, particularly in neighboring Somalia. Westerners rely on Kenya in other ways too: the Kenyan capital, Nairobi, is the base of choice for much of the international community in East Africa, from large embassies to aid group headquarters to donor conferences to security contractors. And should the West give Kenya the cold shoulder, it may find it is not missed as it once might have been: Chinese, Indian, Middle Eastern and Latin American diplomats and businessmen are also part of the fabric in today’s Kenya. Alex Perry is TIME's Africa bureau chief, based in Cape Town and covering 48 countries across the continent. He has worked for TIME for 10 years, in Africa and Asia and the Middle East.